Fill in the blanks, “When life gives you lemons____________. We’ve all heard our share of this phrase and how we should make lemonade, add vodka, squeeze’em into someone’s paper cut…no? Sorry. Well, today I gloriously found myself with a crapload of lemons, like actual real lemons, not a bad situation by any means. I LOVE lemons and no part of them get wasted in my house! However, there I was asking myself, “what the heck am I going to do with all these darn lemons! !” My freezer was already stocked with frozen lemons for daily lemon water and the pantry had two jugs of homemade lemon cleaner concentrate. Time for plan B, when all else fails, EAT!!! If life has given you a bunch of real lemons here is some pretty tasty things you can do with them! When life gives you lemons……make LEMON BROWNIES! 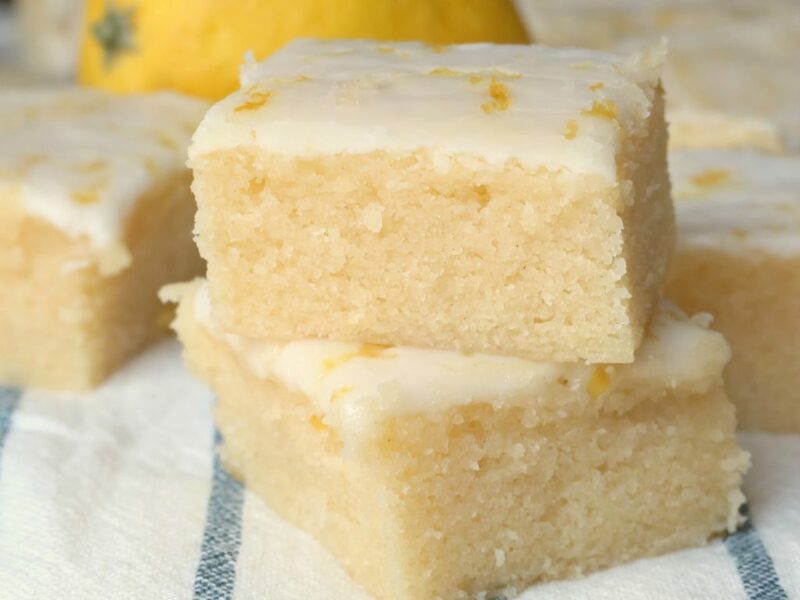 These lemon brownies are a lemon lovers dream! 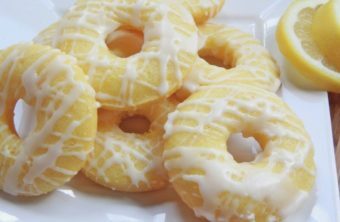 They are full of fresh lemon and finished with a tangy, sweet lemon zest glaze! Not to mention they are so daggum chewy! I mean, just look at them!! When life gives you lemons…..make LEMONADE!! Of course, make lemonade!! 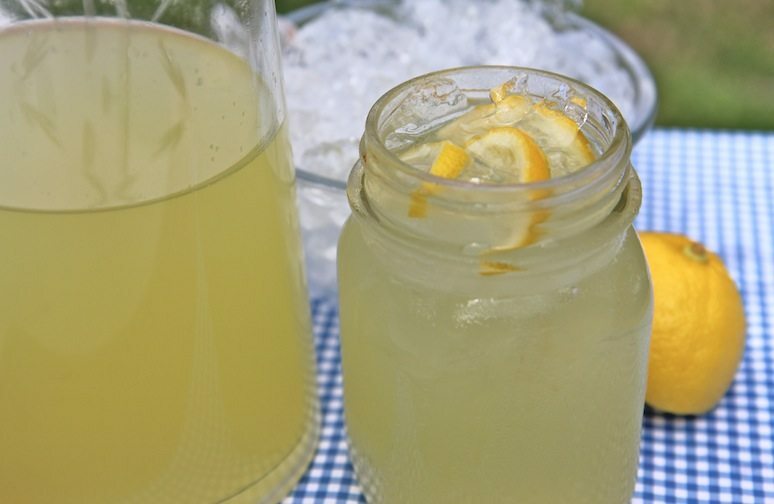 A glass of ice cold, from-scratch lemonade is always welcomed at my house and this old-fashioned recipe makes the BEST Southern lemonade! No extracts or dyes needed. Just pure lemons, sugar, and water! Honest goodness! If you’re feeling creative why not try this fresh peach lemonade, fresh watermelon lemonade or fresh black grape lemonade! 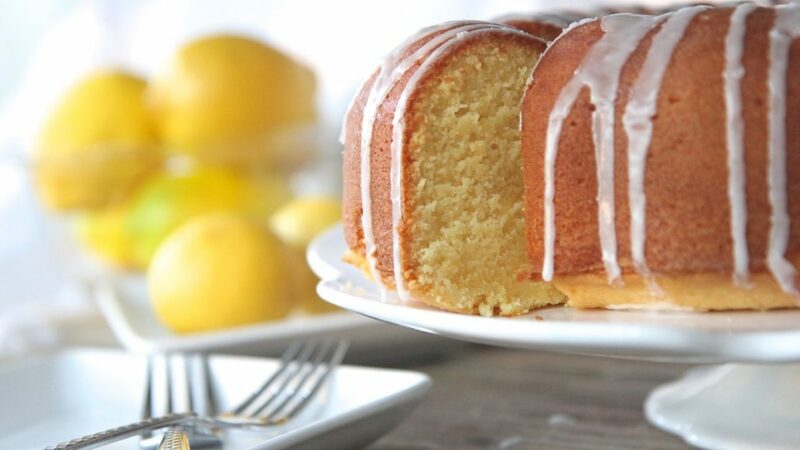 When life gives you lemons……make a LEMON POUND CAKE!! I honestly think I could eat a whole lemon pound cake all by myself. It’s no secret on this blog that I clearly love a good homemade pound cake. This Southern lemon pound cake is packing on layers of fresh sweet and tart lemony flavors! 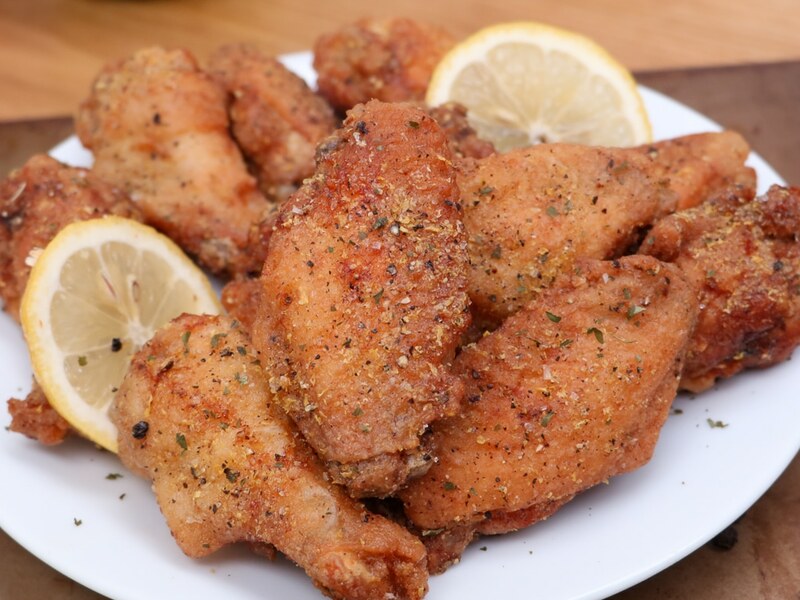 When life gives you lemons….make LEMON PEPPER WINGS!!! If you’re looking for a truly fresh lemon pepper wing this is it! Nothing but natural lemon and cracked black pepper flavor with a hint of garlic. They are bold, tangy and pretty addictive! 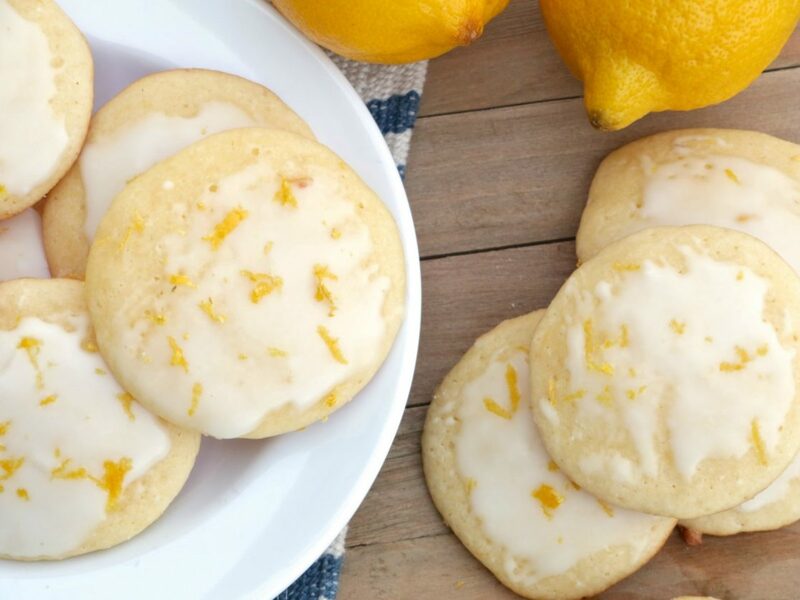 Just in case you still need your lemon pound cake fix, try it in cookie form! These lemon pound cake cookies are so soft and fluffy! Drizzle with a lemon glaze and garnished with lemon zest! They make me so happy! 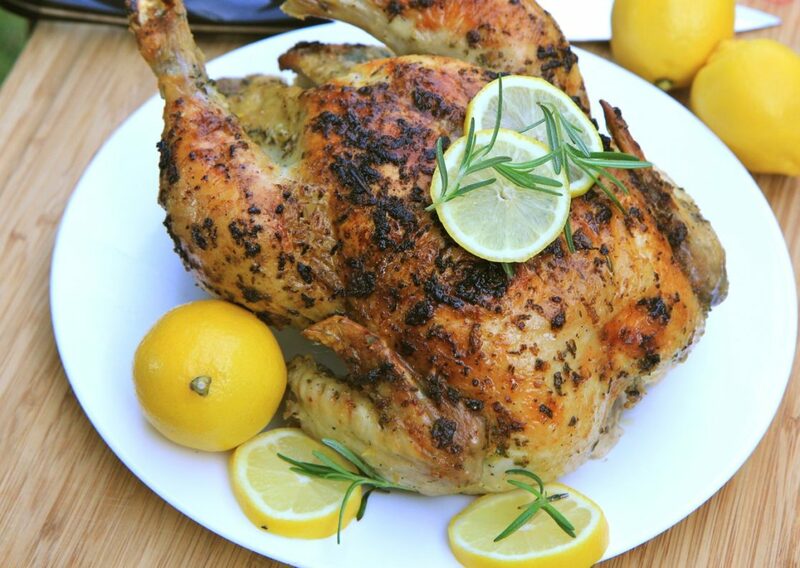 When life gives you lemons…..make LEMON ROSEMARY GARLIC WHOLE ROASTED CHICKEN! I love when this zesty chicken is roasting in the oven. The whole house smells so savory and comforting. Lemon, rosemary, and garlic come together to create one delicious flavor! Need more ideas on what to do when life hands you lemons? How about lemon cajun flounder, homemade buttermilk, lemon cucumber spa water or lemon ricotta sugar cookies! 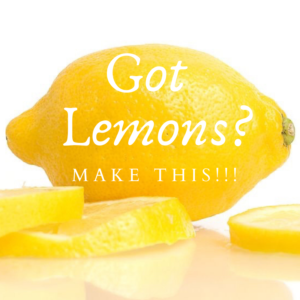 Of course, I can’t end this post without sharing at least one fresh lemon recipe with you guys! I want to show you another way I’m using up all these lemons and that is by making DIY garbage disposal tabs! I LOVE these things so much! They are a smelly drains BFF. You simply chop up some lemons, add vinegar and freeze! Boom! Done! Normally I keep a collection of my used lemons from my morning lemon water and at the end of the week, I make these garbage disposal tabs. Remember when I said no part of the lemon goes to waste around here? To make these lemon garbage disposal tabs, simply place the cut lemons in an ice cube tray, fill with vinegar and freeze. Store them in a freezer bag or container. To use: Simply toss 1 or 2 in the garbage disposal, sprinkle in a little baking soda (optional), turn on the water and garbage disposal and voila! The ice helps sharpen the blades, the lemon deodorizes and the vinegar and baking soda clean and freshens! When Life Gives You Lemons... Make This! Chop lemons and place them in ice cube tray. To use, toss one or two tablets into the garbage disposal, sprinkle in a little baking soda if desired. Turn on the water and garbage disposal. What do you like to do when life gives you lemons?? 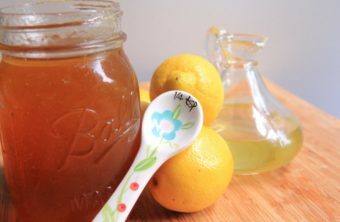 Grandma Barb’s Homemade Cough Syrup…That works! !